The occupational utility of Data Analytics is of no ambiguity to any industry. There are a plethora offields which can harness the immense potential of analyzed data to tailor customized solutions to each challenge they face at varied fronts for instance, from issues of logistics to telecommunication. 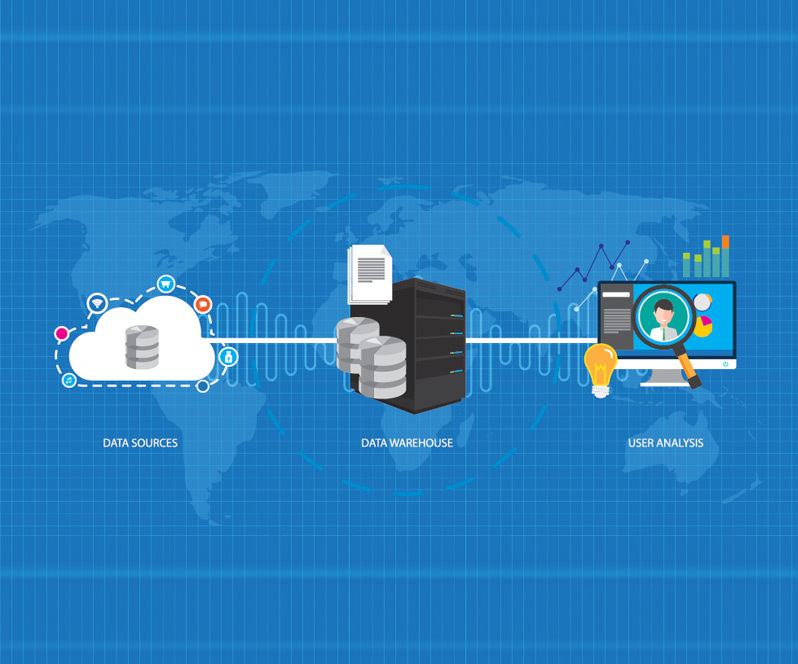 The business organizations are investing heavily to dig deeper into very large data sets in the quest of finding different answers to implicit problems of hardware, software or services. What is 2017 set to deliver? Let us acquaint ourselves with forthcoming trends of Data Analytics to combat the summons of the future with next generation solutions. The ultimate goal of the operations of an established company is to explore through its existing resources and discover the maximum number of lament sources of creating revenue. The key idea is to employ what is already present than creating an entirely new arm. Libsys helps in transforming the data from liability to an asset for your company. Serving the need of the hour, visionary companies are participating in the tedious yet benefiting process of monetization of data. The data which had long been used for predictive analytics is now the new raw material to create revenue. The process follows a schematic flow of aggregating-attributing-validating-exchanging data, driven with a scouting sense of analytics to solve almost all operational concerns. The year 2017 is expected to witness a sweeping comeback of Artificial Intelligence. Assessing various factors simultaneously to converge into a one step customized solution in a considerably small time is what made AI return to the arena. For instance, a technology company can dive through the data collection of factors like customer proximity, regulatory compliance, logistics, manufacturing, and other estimations churned into a customized AI model to come up with a cognitive solution to the problem being addressed. Organizations serving an extensive range and volume of customers like hospitals, pharmaceutical companies or healthcare providers are more likely to opt to focus on measures of fixing the leaks in revenue instead of creating new models to collect more data and data processing models. Targeted research models will expectedly override the predictive models this year as they save a large chunk of time and money. After all, saving equals creation. Data Analytics complements Blockchain as it needs to counter both quantity and quality. While the blockchain form the very base of intricate financial systems like digital payment gateways, transaction of virtual currencies etc. With customer satisfaction at stake blockchain are highly likely to be witnessed converging profoundly with Data Analytics. As a result of which the massive customer base of companies in the sector of banking and financial services shall see a steep improvement in grade of service. Retail and logistics industry is estimated to opt and benefit alike from Data Analytics this year. Big Data - Opportunity or Obstacle? Gone are the days when Big Data used to be problem. For those who are not acquainted with what the term means, Big Data is a contextual term coined to denote the gigantic volume of data that companies or organization amass through multiple mediums. This data was earlier collected for the sake of collection, but gradually with time this has become the treasure chest of future strategies! 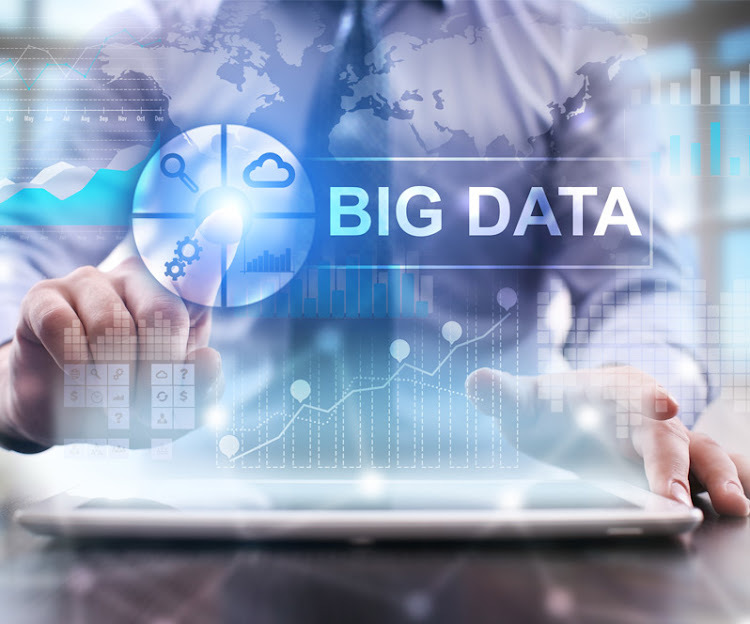 This collection of data is called Big Data because sometimes its volume is not limited to gigabytes or terabytes, it rather escalates to the scale of Petabytes or Exabytes. Today’s corporate world is leaving no stone unturned to find every possible method of collecting data, from mobile devices, service logs, cameras, microphones to wireless sensor mediums. The Radio Frequency Identification Readers (RFID) have also started contributing to data collection along with aerial and local recordings etc. all across United States. With the unprecedented advancement in technology, not only have the companies started valuing what this massive dataset has to offer, but also safeguarding it from being copied or stolen, irrespective of how irrelevant the bit of data it may be. While the companies hunt for every possible way to collect as much data as possible that includes any aspect in context of either their company or their customer, the technology is sculpting new ways to formulate new solutions to existing problems on the base of collected data. Big Data is not always a structured bulk, sometimes it is unstructured to the levels that it can only be analyzed by industry experts. Its Four V’s : Volume, Velocity, Variety and Variability make its handling a tedious job, but as the wise have said, The Bigger, The Better! The heavier the datasets become, the higher is the precision needed to collate, create and confine it. Today’s edgy technology has a lot of solutions in store for managing not just the safe storage of the data, but also its sorting and screening. The key motive of implementing a chain of processes on this data is to extract the Patterns and Anomalies. The search of patterns lead us to finding anomalies, which in turn opens the Pandora’s Box. With the assistance and support of complementing analytical expertise, a company can find the answers to their cross-sector concerns like customer information, inventory management, feedbacks, customer responses, huge piles of unaddressed data or maybe a surprising broken link of information crucial to your organization. Since the past decades have witnessed the benefits of raking the data enough to find what lies hidden in it for us. Data is the treasure, analytics is the key! Will you lose it or use it? These 3 Ps are the mandatory focus areas every company must strive with its maximum efforts to not only perform, but excel. The first step i.e. Process is driven by both manual and automated supervision. This step becomes the deciding factor of the height a company’s growth graph can climb. This step is driven in totality by Business Intelligence. Business Intelligence is a formulation of optimized strategies, tools, applications, operations, schematics and technology with a motive of supporting data sorting, data mining, data processing, data utilization, data analytics etc. All these processes converge to make all the wings of a company work together in harmony with a unified goal of achieving success. The step of ‘Process’ makes use of Business Intelligence with the help of various tools in the form of multiple software like SAP, Domo, Looker, Yellowfin, Pentaho etc. 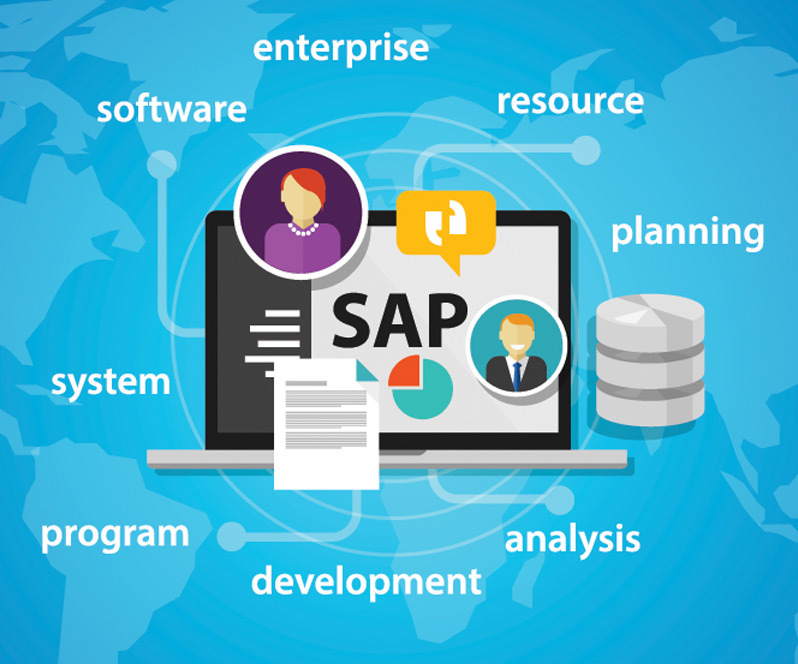 Out of multiple choices available for the data processing, SAP is one of the software accredited with the trust of clients and customers alike. Being used for more than two decades, it has never failed to add new features. SAP not only helps in data segregation, it also helps us to utilize every bit of data, enabling a company to focus on minutest of the details. This helps in minimizing futile data entry issues and induces streamlining in the entire process of data mining and processing. From Business Suites to Industry Solutions, SAP comesin various variants to suit the varied needs of heterogeneous group of customers. Why worry about data handling when there is a solution driven software available for us, all we have to do is find the right expertise to operate it. If you are wondering how would you find the expertise, we are glad to convey you are at the right place. Let Libsys make you Ace the Race! Every subsequent second of the future is making the present moment obsolete. The world of technology is changing swiftly, making it bligatory for us to keep up with the pace, lest we want to get obsolete. Today when the race is to get the things done with incomparable convenience, the Cloud Technology is an advantage beyond limits! Scalability is the prerequisite for success of any business model, whether it is a company, firm, organization or enterprise. The existence of a business model is the direct reflection of its scalability, without which it may get lost in oblivion with no future to look for ward to. Cloud Integration has made the process of carrying out operations easy for a massive count of industries. Wondering how Cloud Integration is paving way to scalability?Read on and find out! Cloud Integration is the unrivaled choice for all technology enriched companies driven by the fundamental principle of Risk Aversion. While it is claimed to be least corruptible, it adds majorly to the security of the data transacted as well as the data stored. The traditional bulky data sources have lost their purpose and identity as the Cloud Integration supersedes owning servers on every possible ground. It not only saves users from minor security hazards, but also prevents major data thefts, ensuring credible data security. The convenience of customers is the penultimate priority of Cloud Integration. Abundance of vendors, extent of customization, ease in integration sums up to being an extremely user friendly service. Users can make use of a credible access and storage point of data with unparalleled ease. Every industry can possibly find solutions to their concerns through Cloud Integration. Whether it is about database management, on site access of data on multiple platforms or archive protection, 2017 and the years to come will see cloud integration penetrating to the most trusted interiors of the organizational structure. As the Cloud industry is progressing there is an ever-high cut throat competition in the market to serve the fraternity of users with an unprecedented experience. Be it Dell Boomi, Zapier, Jitterbit, Anypoint Platform, Microsoft Azure or any other name, the customer support and service is top notch. Every stage of the customization is user friendly with simplicity at the front-end but extreme complication at the back-end to ensure flawless execution in a secure framework. As the world of Cloud Technology has already escalated to Hybrid Cloud Integration, the dimensions of services offered have widened further. As it is built with the environment that supports running of same APIs across multiple cloud platforms, it is highly be nefiting to IT industry. The limitations of Cloud Integration have further reduced to minimum by the introduction of Hybrid Cloud Integration. It has made the cross-Platform access possible inducing more reliability. It will be exciting to see industries across the world taking different shapes with this cutting edge technology. The world of companies and customers seems to be expanding at a rate faster than we are comprehending. A survey done by Forbes states that approximately 543,000 businesses start every month. Sustaining the infrastructure to existing and the new business setups is a daunting task in itself. While this task is physically challenging, its economic viability also comes into question. The Future of Technology apparently has a solution to the issues of infrastructure and operations–Cloud Integration. The technical businesses and non-technical setups need flawless execution alike. Not only the cloud integration has answers for the present, it also holds infinite possibilities for the future. The whole dynamics of business setups is undergoing a makeshift change. The Cloud Centricity is adding multitudes to the mobility of the data. While the Remote Servers are busy making the on-site servers obsolete, the user experience is evolving to carry the benefiting effect to the fraternity of customers as well. The cosmos of Cloud Integration has started catering to the needs of present and simultaneously setting up the base structure to build the solutions for future. Bearing the infinite potential, this technological advancement is never taking a U-turn and is all set to pave way to the world of Cloud Ecosystem. While the companies have started looking up to Cloud Integration as an asset of perdurable potential, the clients also seem to have a welcoming attitude towards it. The Provider-User dynamics is statistically predicted to reach a notch higher by layered benefits of CI. In the context of Companies, the Customer Relation Management has revolutionized. The increasing Cloud Centricity s the much sought after feature in applications, APIs and strategy development as well. It has made fine-tuning with customer a lot easier than before, enabling the companies to see aclearer and bigger picture of the market. the cloud centricity seems to be inducing customer centricity too. With this double edged sword by their side, a huge customer count is welcoming and adapting to this new positive change. As the world witnesses the increasing precision in strategy making, the careful transition from the old and trusted to new and flexible needs to be facilitated. A fail proof balance in when to switch and when to pull the plug, is what we need at the present moment. A schematic shift addressing one section at a time can transform the existing system without compromising with its stability. The extent of success of the Cloud Transition will be accounted by the decades to come. The outdated technology will be discarded, and needed technology will be made, because as they say, necessity is the mother of all inventions!